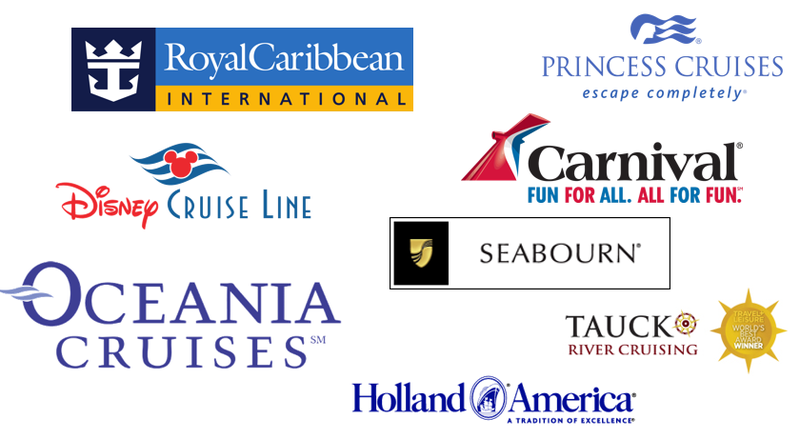 Did you know that you can book your cruise with Bethany Travel / Dream Vacations for the same price as online or booking direct with the cruise line? Well, if not, the answer is YES! Why take your valuable time dealing with online and phone reservation agents when we can do the talking and dealing for you. We always strive to get the best price and value for our clients and if the price goes down after you book, you’ll get the best price. Never worry about booking early and not getting those “Last Minute Deals”, book early to get what you want and watch the price or ask us to check the price. If the price of your cruise goes down online, you get the best price. That’s getting what you want for the best price! Speaking of price and value, we know that the best price is not always the best value, we can tell you where your cabin will be on the ship, the square footage of the cabin and type of view. Sometimes, that great price online turns out to be a small cabin on the bottom of the ship which may be fine for some but ruin a cruise for others. Confused? No worries, just ask us about ‘re-pricing’ when you book and we’ll explain the fine print! Browsing your cruising options over the weekend or on a Holiday? You can book online and turn your reservation over to us as long as you don’t pay in full. Let us take care of the rest! *For more information on our cruise options, please contact us and place the name of the Cruising Partner in the subject line. Cruise with Cindy and With Special Guests from your favorite radio station on the Carnival Pride from Baltimore, MD on March 22, 2020! Ed Tyll Gary John Paula Sangaleer B.K. For pricing, click here. Pricing is based on double occupancy and is per person including cruise taxes and port fees along with some extra amenities from Delmarva Broadcasting & Bethany Travel!! $250.00 per person deposit required when booking and final payment due 10/11/19. Final payment on or before 1/3/2020. Get your cabin today! Call 800-806-TRIP!